Calling all hobbyist and toy collectors! 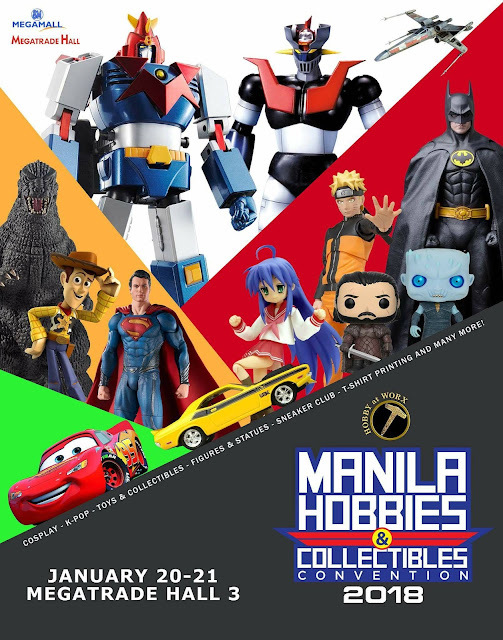 There will be an amazing event for all of you this January 20-21, 2018 at SM Megatrade Hall - MANILA HOBBIES and COLLECTIBLES CONVENTION 2018. Ticket price is still at ONLY PHP100.00. For more details, kindly follow us at our official Facebook page: Official_Hobbiworx.